Midwest transplant (by way of Australia) Dean Bertram is accepting submissions for the first ever MidWest WeirdFest Film Festival – a “cinematic celebration of all things frightening, fantastic, underground, off-beat, alternative, and just plain weird.” Bertram is the founder and director of two Australia-based festivals – A Night of Horror International Film Festival and Fantastic Planet: Sydney Sci-Fi and Fantasy Film Festival. He’s now creating a festival closer to home. While the program hasn’t been finalized, Bertram says audience members can expect a “wonderfully weird assortment of the latest in independent cinema ranging from horror and sci-fi, through underground and experimental fare, to documentaries about some of the strange and fascinating characters and corners of this weird planet.” WeirdFest will also include a block curated by the founders of the Found Footage Festival, UW-Eau Claire grads Joe Pickett and Nick Prueher. “Their ability to curate hilarious and weird material is second to none,” Bertram said. MidWest WeirdFest will take place at Eau Claire’s Downtown Cinema (315 S. Barstow St.) March 3-5 and will screen a few dozen films in categories such as feature, documentary, short, and short animation, as well as music videos and more. Guest filmmakers will also be available for Q&A panels and to mingle with filmgoers. 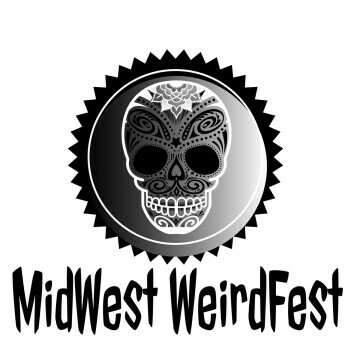 The final submission deadline is Jan. 20, so there’s still time to submit a digital copy of your weird film at midwestweirdfest.com. You can find more information about the festival at that website and on the MidWest WeirdFest Facebook page.